We offer a variety of erosion control products for commercial projects and homeowners, including USCC certified compost and compost wattles, certified weed free straw bales and wattles, wood chips and hydrated lime. Country Garden Farms also installs sod and can provide consultations on soil testing and other landscaping projects. We’re happy to share our knowledge and experience so that your project will be a success. Did your neighbor’s yard suddenly turn from a muddy mess to a scenic expanse of healthy grass? Chances are that Country Gardens turfgrass sod made it happen: no other landscaping product transforms like turfgrass, and no one knows how to install sod better than the farm that nurtures the sod to harvest. If you’re dreading a summer of mud in your home and want to have a beautiful instant lawn this spring, never fear! 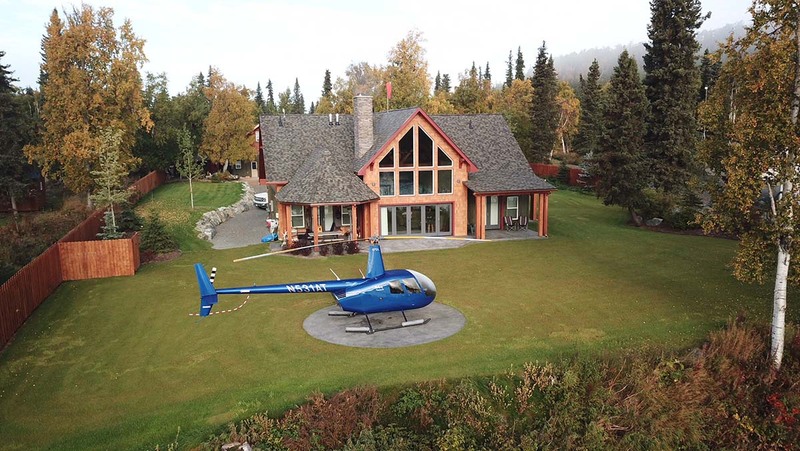 Our years of experience all over Alaska have shown that sod can be installed as soon as it is available after Memorial Day each spring. If you have soil prepared and ready or are still thinking about your project, just contact us for an estimate. Interested in adding wood chips or soil-enriching compost to your landscape? Contact us for items that enhance that spectacular sod. A good understanding of your soil is key to landscaping for turf, trees, flowers, and more. If you’ve had a problem with grass or other plants not thriving in your yard, we recommend starting with a soil test to assess the problem. For Soil Tests, go to Brookside Labs, Inc. or to the UAF site below. Please send a check with your sample. They will email the results, usually in less than a week. Test S-001B includes available nitrogen and buffer pH which is important for analysis. I mail the sample in the small flat rate box at USPS <$8. Pricing for the basic tests are as follows. You can read the descriptions online on page 2 at the link above. You can find many resources including soil testing at the UAF Cooperative Extension Service here. Our compost is aged a minimum of 6 months. Some is aged up to 3 years! Who can I contact for nursery products? We have many nice birch trees for sale. Watch for pictures on this site. Compost, cottonwood chips, and straw wattles for erosion control are also in our store: more coming soon! Please let us know if there is a particular type of tree or plant that you would like to have available in the future. Landscaping: There are many good landscape companies in the area. Please call if you need help finding a company to install sod. General Contractors: Thanks to all of the General Contractors for continuing purchases. I need a load of topsoil. Do you carry any? Country Garden Farms can fill a pickup truck-sized load of topsoil on appointment in Palmer, though we do not have a large loader for dump trucks.